This incredible vintage Finnish silver necklace is by Björn Weckström for Lapponia. 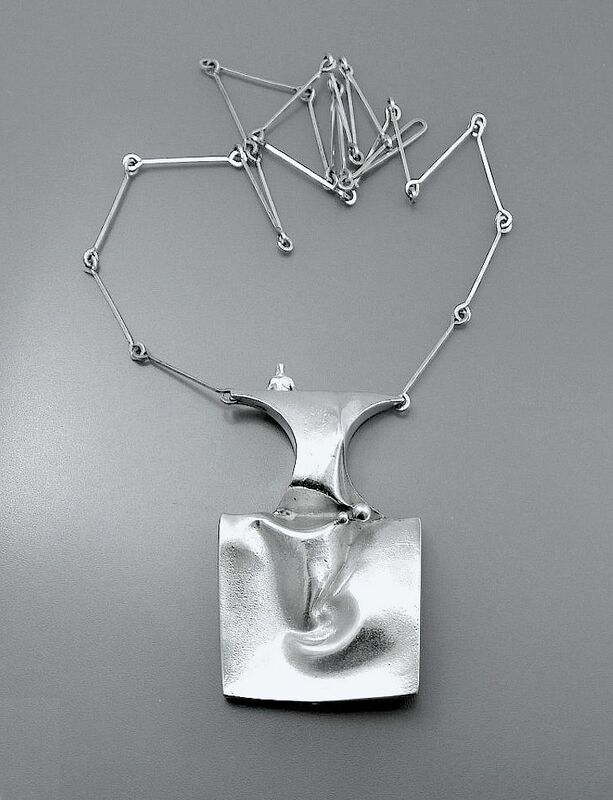 Known as "Space Barbarella " it comprises a long silver chain that is attached to a large folded and raised brushed silver sculptural section that has a small silver figure on the top of the section. Hallmarked in Finland for 1970 it has Lapponia's mark and is initialled BW for Björn Weckström. A very distinctive and stylish piece.